Since ending Disney Infinity back in 2016 the company has stayed away from video games, instead, dealing with more acclaimed developers and publishers to create games using their IPs. EA was contracted by Disney to be the sole producer of Star Wars games that have been negatively received by fans and critics for their predatory practices and monetization first policies. However, it seems that Disney and EA's relationship is stronger than ever. 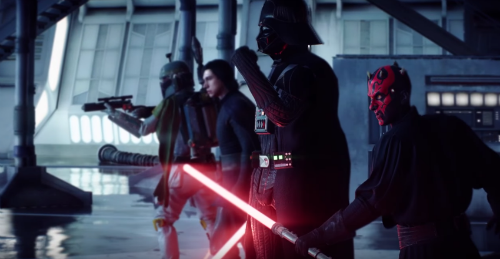 Fans of Star Wars and gaming, in general, have voiced their confusion on the matter considering how Star Wars Battlefront 2 turned out. In addition, EA has canceled and closed studios relating to Star Wars projects but Disney is more than happy to work with the company. In comparison, Insomniac's Marvel's Spider-Man, which is owned by Marvel and by conjunction Disney, is widely considered one of the best games of 2018 and in the action-adventure genre. Whereas Star Wars Battlefront following EA's contract with Disney has become one of the most infamous games of this generation.